Score card of the first Test. Day 1 started off with England winning the toss and electing to bat first. 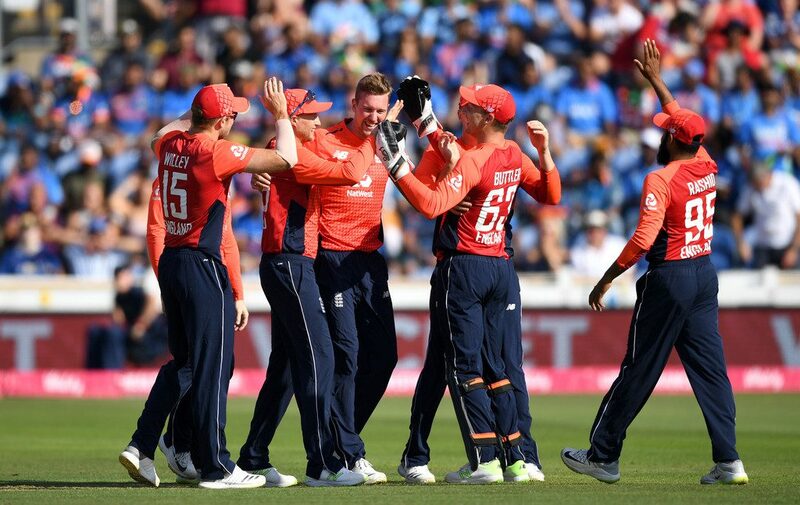 England started off well but then lost their first wicket quickly as Alastair cook was bowled out by Ashwin in the 9th over while a well set Keaton Jennings was bowled out as well by Shami in 36th over soon after the lunch and Dawid Malan was out LBW in the 40th over. Skipper Joe Root and Jonny Bairstow then took the charge and both were nicely set out there as our skipper got his 41st Test fifty and also he completed his 6000+ Test runs in the process. He was beautifully accompanied by Jonny Bairstow as they had brilliant 104 runs partnership and Bairstow meanwhile got his 18th Test fifty. Root earlier had 72 runs stand for the second wicket with Keaton Jennings who scored 42 runs off 98 balls. Root was later run out by Kohli in the 63rd over after lunch and a couple of overs later Bairstow too was bowled out by Umesh Yadav. Jonny Bairstow played the crucial knock..
England lost wickets from there on and ended the day on 285 at the loss of 9 wickets with Sam Curran (24* off 67) and James Anderson (0* off 9) on the crease. Umesh yadav and Ishant Sharma shared one wicket each while Ashwin ended with figures of 4/60 and Shami got 2/64. England were bowled out for 287 at the start of Day 2 with Ashwin finishing with figures of 4/62 and Shami with 3/64. And I must Say the beginning of India’s first innings was a bit same as England as the visitors too lost their early wickets. They were 3/59 thanks to our young gun Sam Curran who alone sent India’s top order back as he took three early wickets. India were 100/5 when Rahane was caught out by Jennings off Stokes and a couple of overs later stokes bowled out Karthik leaving India on 148/6 as he claimed his 100th Test wicket. Ben Stokes became 3rd fastest cricketer to achieve the Test double of 2500 runs and 100 Test wickets as he reached the landmark when he bowled out India’s Dinesh Karthik. He is the eighth Englishman to achieve this feat. He also became third fastest in world cricket to reach the landmark. The all-rounder achieved the feat in his 43rd Test. pic credits : England Cricket. India kept on losing the wickets but one man stood firmly right up there and it was none other than Skipper Virat Kohli! What a crucial Knock he played! truly a Captain’s knock as he got his 22nd Test hundred and his first on English soil. Kohli was caught out by Broad off Rashid and India were bowled out for 274 in their first innings trailing by just 13 runs. James Anderson, Ben Stokes and Adil Rashid shared two wickets each while Sam Curran finished with figures of 4/74. England started their 2nd innings and once again lost Alastair Cook early as he was again bowled out by Ashwin and this time for a duck. the day ended with England on 9/ 1 with Keaton Jennings (5* off 8) and Joe Root on the crease and the hosts were leading by 22 runs with 9 wickets remaining. During the first session of the day England had a big blow as our newly appointed Vice Captain Jos Buttler had picked up injury on his hand. He hurt his left middle finger while attempting a catch to dismiss India Captain Virat Kohli, he dived to his left at gully and got hurt as the ball hit his fingertips . Jos Buttler travelled to a local hospital near Edgbaston to have the X-ray while Dom Bess replaced him on the field. He had the X-ray done and later the team’s management confirmed that there is no fracture to his finger and everything is fine and he was just seen putting some ice on the injury! later on Buttler returned to the field for the final session of the day after tea and looked fine with all smiles..
Jos Buttler all smiles as he came back to the field.. The game was getting better day by day and it was going to be a thriller as Indian bowlers gave an incredible bowling performance out there and once again the English side collapsed just untill young man Sam Curran came in and took the charge! he handled the pressure so well as he got his maiden Test fifty in the process and took England’s lead to 193! What a crucial knock he played! England were later bowled out for 180! Ashwin finished with figures of 3/59 , Umesh Yadav got 2/20 and Ishant Sharma finished with a fifer with figures of 5/51. India required 194 runs to win! India lost three early wickets and then they were five down in lesser time and then the real struggle for the visitors began with skipper Virat Kohli and Dinesh Karthik taking the charge! third day’s play ended with India on 110 at the loss of five wickets and 84 runs were required for them to Win while England required five wickets to win this game. First session of the final day was crucial one for both the teams they stepped out to play! England had only one aim at that moment which was to get the Indian skipper out as early as possible! Kohli along with Karthik started the chase but unfortunately Karthik was caught out by Malan at slips off James Anderson and India were six wickets down, but Kohli still in there trying everything he can do for the win! Then Hardik Pandya Came in and he supported Kohli beautifully under such pressure! But then I must say our skipper Root’s bowling rotations and the decisions he made in there were all Successful as he brought stokes in and on the third ball of his over he got the most dangerous Virat Kohli out LBW. Kohli got his crucial 17th Test fifty as he was out scoring 51 runs off 93 balls. Stokesy gets a congratulatory hug from Jimmy Anderson after he got Virat Kohli out. pic credits : Getty Images. The crowd, the barmy army suddenly started cheering as the teammates hugged and congratulated Stokesy for his efforts! But Pandya still in there trying to chase it as the visitors were eight wickets down! Then Stokesy got Shami out and Ishant was out LBW by Rashid and India were nine wickets down! India now needed just 31 runs to win but once again Stokesy bowled his magic ball and Hardik Pandya was caught out by Alastair Cook at slips and the hosts won the 1st Test by 31 runs to take 1-0 Lead in the series!! Anderson and Broad shared 2 wickets each while Rashid and Sam Curran shared one wicket each And our Big Ben finished with the figures of 4/40! What a game it was!! Absolute thriller!! Stokesy celebrating the victory with his teammates.. pic credits : Getty Images..
Young Sam Curran was named as the man of the Match for his brilliant all round performance. belive it or not but this was Sammy’s just second Test Match! #whatalegend..
Now on to Lords for the 2nd game which starts tomorrow!! Lets keep the momentum going!! Come on England!!! Previous Previous post: THE 1000TH TEST! Next Next post: VICTORY AT LORDS! !